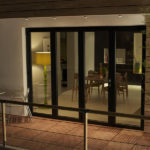 Why choose Origin Bi-Fold Doors? 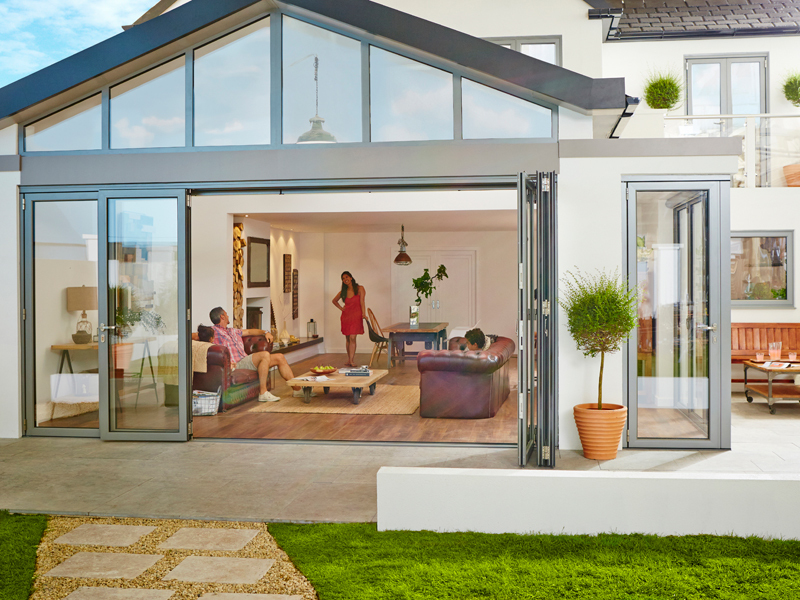 Tailored to your specific requirements and exclusively designed, each and every Origin Bi-Fold door is unique to our customers and built with care at Origin’s Buckinghamshire based factory. Safety and comfort can’t be compromised, especially with children around. 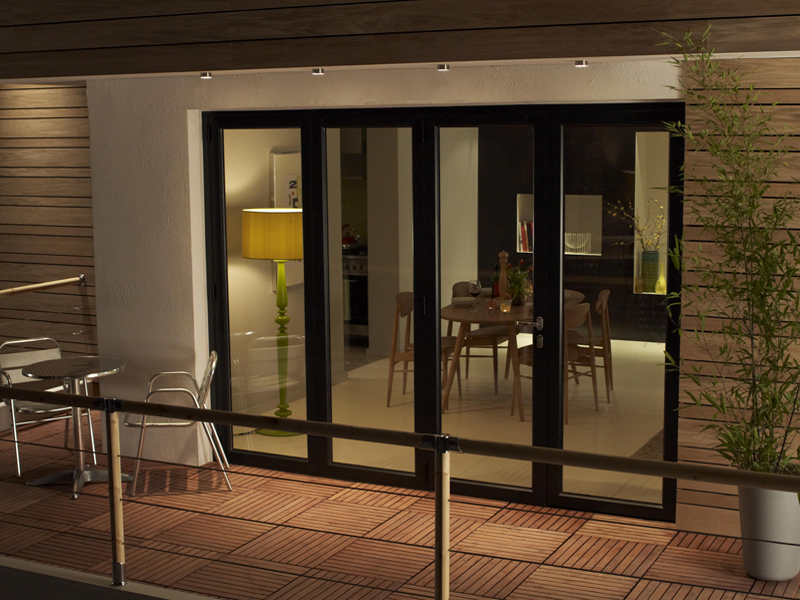 Origin doors come as standard with a unique safety system to prioritise security. Including features like strong magnets to lessen the risk of slamming, threshold designs allowing for easy disabled access and finger safe gaskets to stop trapping. 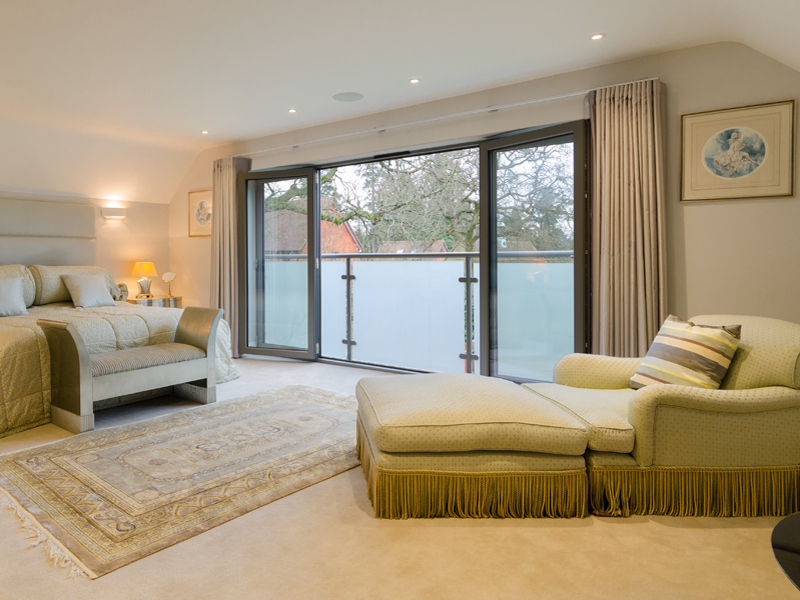 With a simple push a brand new living space can be created, breathing new life into your Buckinghamshire home. 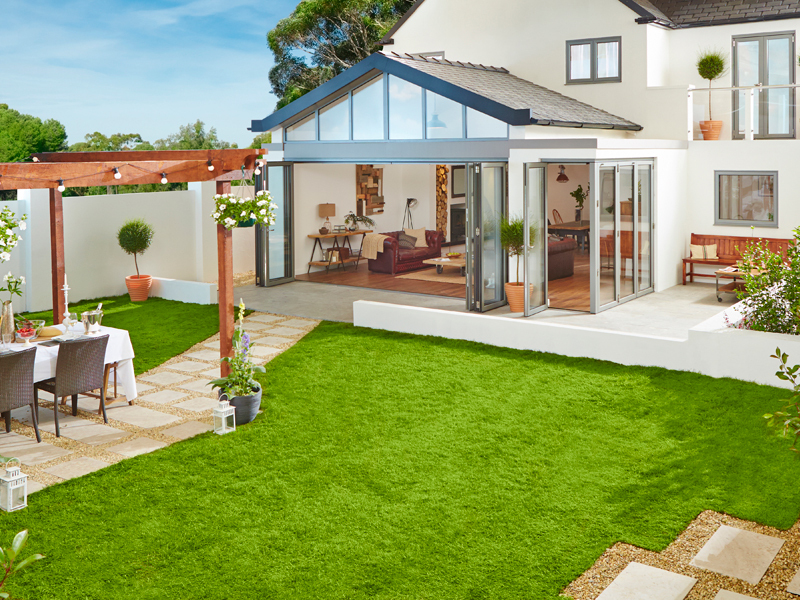 Bi-Folds design allows you to bring your outdoor and indoor space together, creating a more open atmosphere and a completely new look and feel. 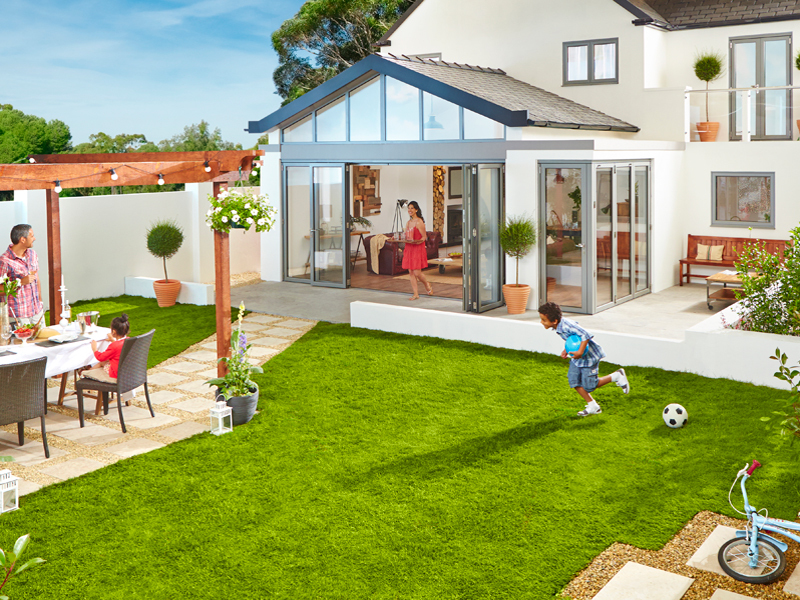 This change is thanks to the exceptional free-glide roller system, a system that allows for minimum effort from the user to create a different landscape within the home in Milton Keynes. Due to the bespoke nature of Origin’s products, the in-house design team can aid you in the process and discuss options with your architect or builder in order to best use the space available to you. 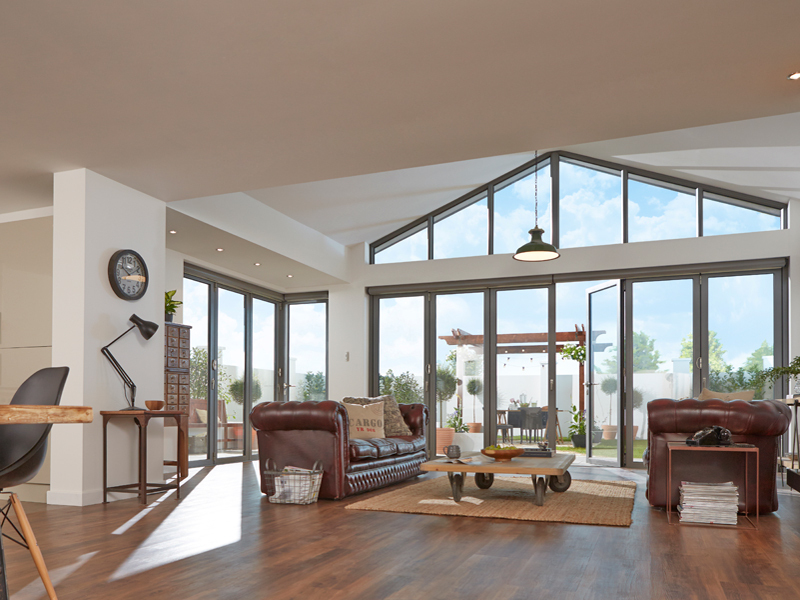 The Bi-Fold Doors range in Milton Keynes from two to eight door sets, and corner options are available in folding, sliding and alternative arrangements. 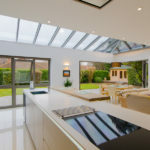 Giving you ample variety to ensure you get the correct product for your home in Buckinghamshire. 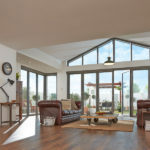 The Origin Bi-Folding doors contain a running mechanism unique to Origin doors, allowing for an easy to use system that is highly regarded by door experts. One major component that ensures safety when it comes to children is the enclosed track system, a hugely important aspect in making a safe product, and specifically designed for the UK market in Milton Keynes. 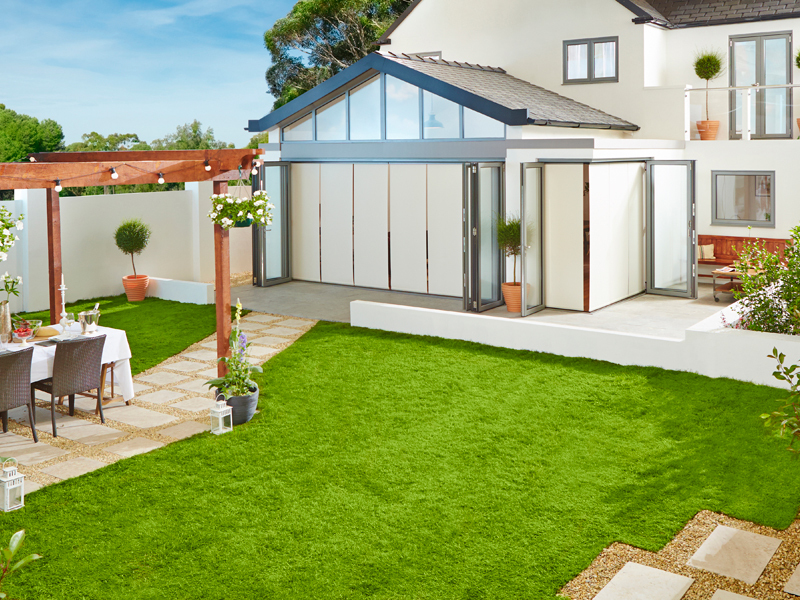 Origin Frames is the only folding door company that specialises in sliding folding doors. This allows for the ultimate in precision manufacturing, a product that is without restrictions and comes with a 20 year guarantee and its own unique serial number. Established to provide exceptional Bi-Folding doors, the Buckinghamshire based company brief was to ensure that they were to be market leaders in both design and service. 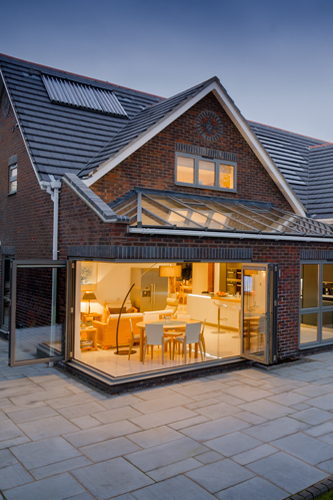 Origin’s Bi-Folding doors received excellent reviews when they first launched on the market, and one reason for that is the fact that only Origin can manufacture it. Because of this, it has ensured that the build quality remains high, as it allows the doors to be crafted and overseen by one company. Controlling these processes allows Origin to have control and design freedom. 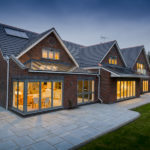 Today, the Origin Bi-Folding door is universally recognised in Milton Keynes as one of the leading products in the industry in terms of aesthetic design, lead times and security. Origin’s revolutionary ‘Your lead time, not ours’ service has allowed for consistently high standards of exceptional service with both dealers and customers. 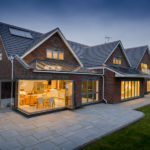 This innovative idea has allowed Origin to reverse the trend on issues with lead times on powder coated aluminium, an issue which had plagued the industry previously. It enabled a service whereby customers are given more control, allowing them to receive their products when and where they need them. 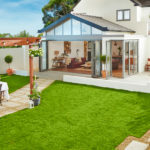 This improvement was soon copied by competitors, but Origin still remains the market leader in delivering assembled aluminium powder coated doors faster than anyone else. 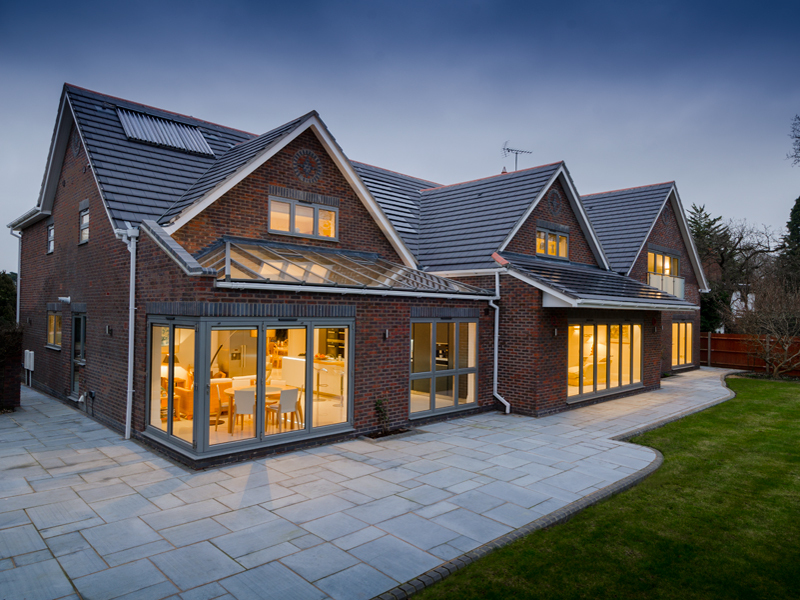 Origin doors remain a market leading product in Milton Keynes, but one that also offers flexibility. Enabling door leaves from 400mm width and above allows for a more versatile product, but one that’s flexible and suitable for any structural opening. In addition to this, the core Bi-Folding door product is complemented by matching single and double doors. 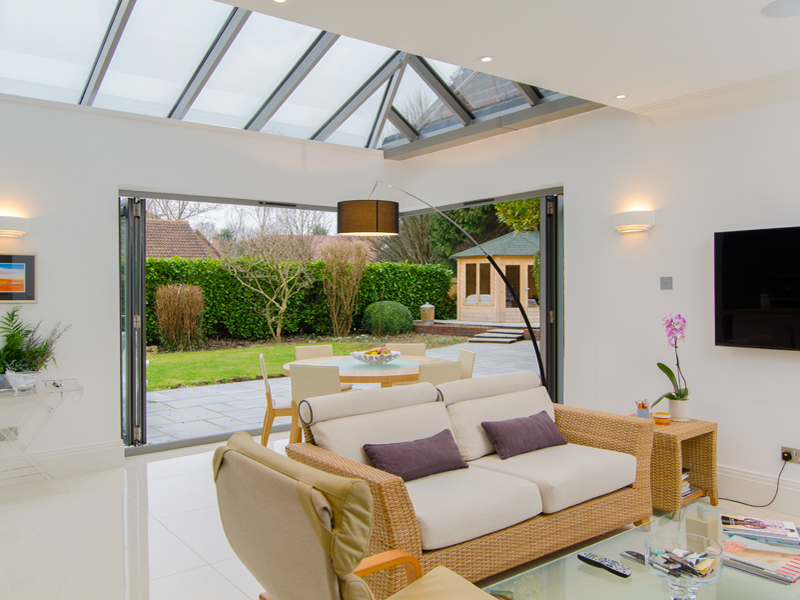 This top class service has allowed Origin Doors to grow and become the number one destination for aluminium sliding folding doors. 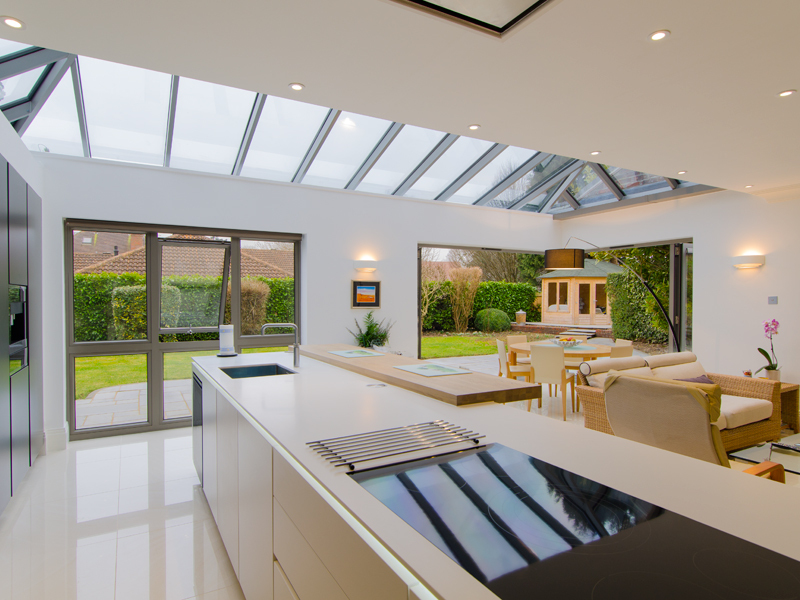 Nationwide window and door companies provide Origin Bi-Folding doors to homeowners and the wider industry.